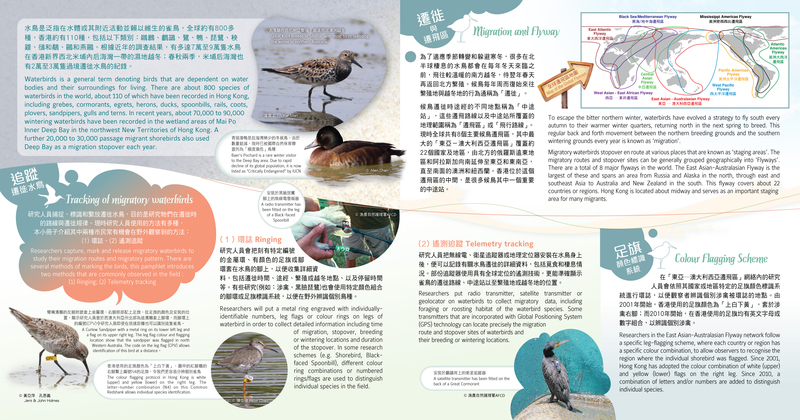 Researchers capture, mark and release migratory waterbirds to study their migration routes and strategies along the Flyway. 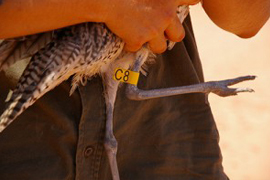 There are several methods of marking birds; metal rings, wing tags, neck bands (neck collars), leg rings and flags, nasal discs and saddles, and telemetry equipments. 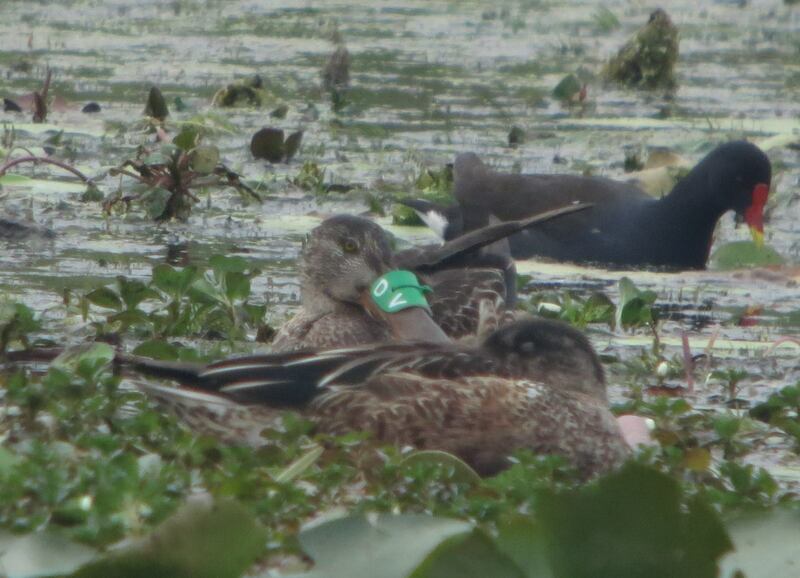 Among them, color markings such as neck bands and leg rings/flags are often used for easy recognition of marked waterbirds in a distance. 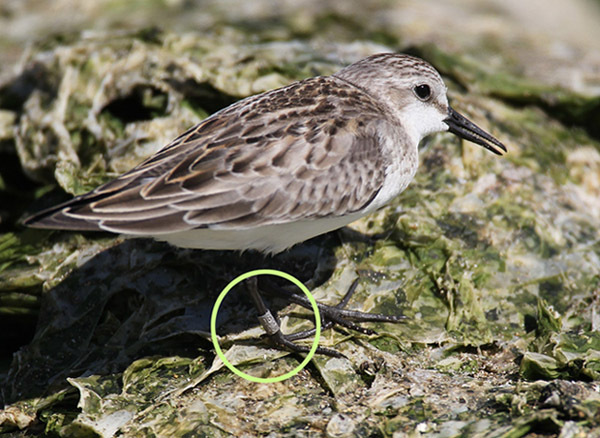 Different colors or letters on the marks may indicate different country, region, or even each bird. 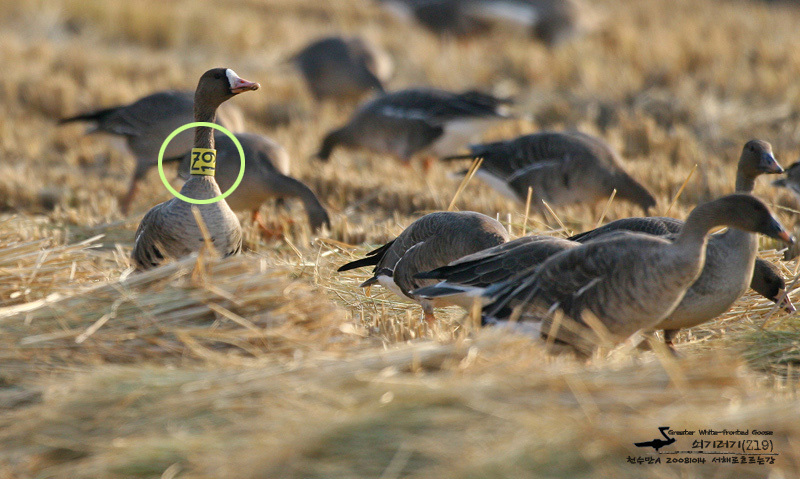 However, as the number of migration studies increases, the increased use of color markings is resulting in duplication and reduced availability of colors for marking in this Flyway. Therefore, at the 4th and 5th Meetings in South Korea and in Cambodia, the Partners commented that awareness and education on color markings and reporting are needed and that greater communication between site managers is also needed. 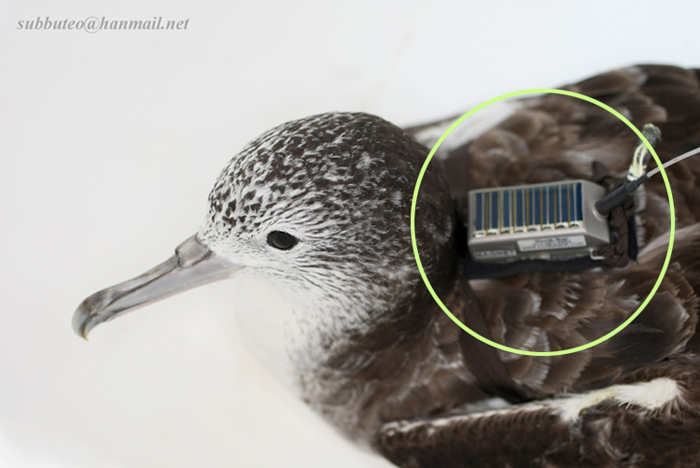 Furthermore, project leaders of satellite tracking activities have been requested to inform applicable countries when birds are located in-country. An EAAFP task force was therefore formed to investigate how coordination of marking could be better coordinated. 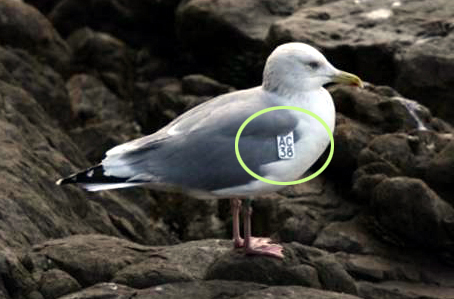 Inadequate use of color markings may threat existing protocols and on-going migration studies. 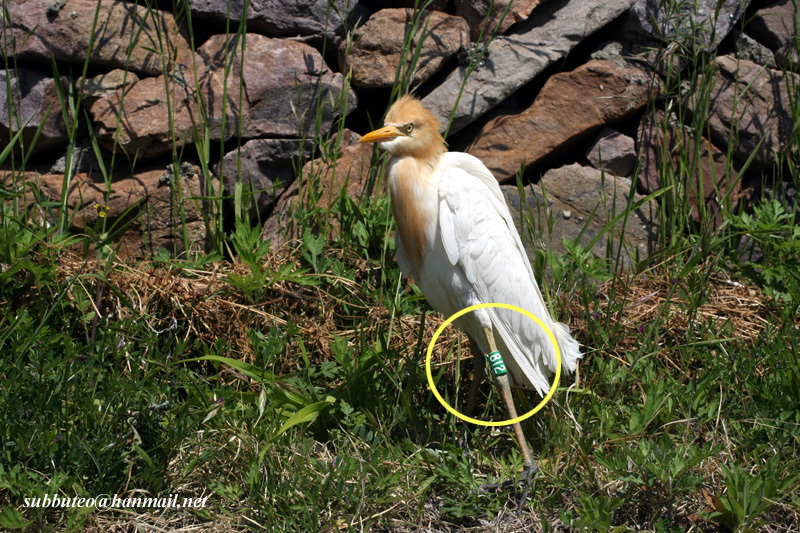 When considering color markings on migratory waterbirds, they should consult to the local banding schemes prior to use and carefully examine present protocols relevant to the taxon of their interests. EAAF Partnership is NOT an authority which approves any of color marking protocols. 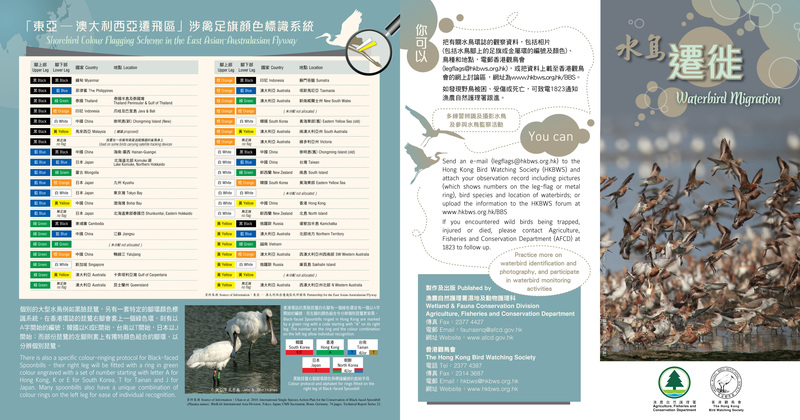 However, for better communication and coordination, EAAFP TF collects information from Partners on color-marking protocols, banding schemes and contact information. The task force’s achievements will be updated when new information is available. 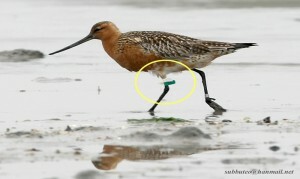 *Please post your sightings of shorebirds to the Facebook page here: Shorebird leg-flag sightings in the EAAF – highlights photos reports etc. All files are in pdf format.Download the Adobe Acrobat reader.